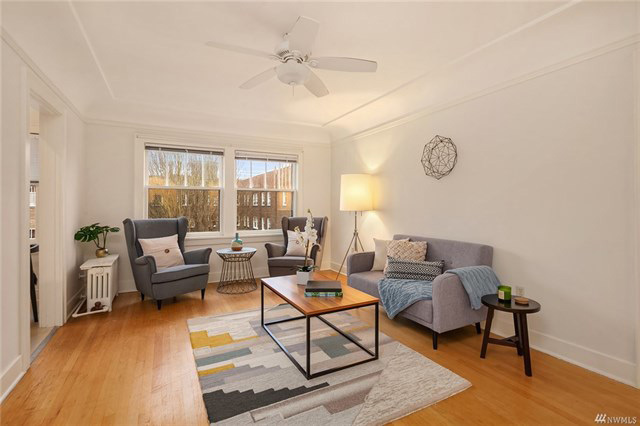 Located on a quiet, tree-lined street this top-floor unit is full of vintage charm. 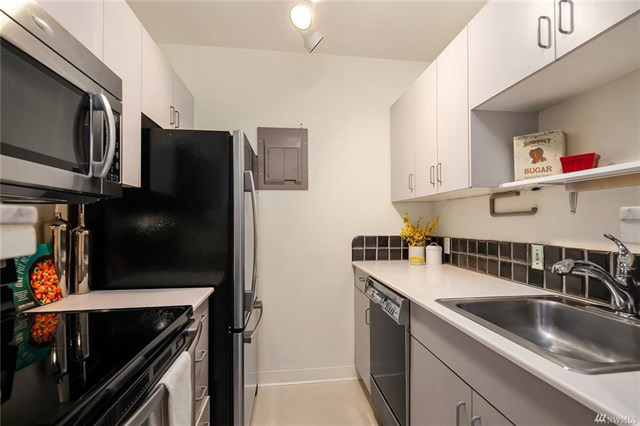 Enjoy west-facing views, a bright living room, and a kitchen with eating space and stainless steel appliances. 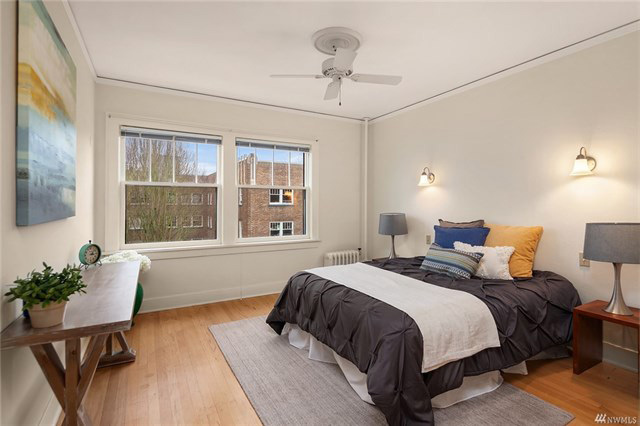 The spacious bedroom features hardwood floors and a large walk-in closet. The Marquis is a well-maintained building with an on-site caretaker & offers shared backyard patio & workshop. HOA Dues include: water, sewer, garbage, heat & property taxes. Ask about parking. There is a two year limit on rentals. Perfect location: Trader Joe’s, coffee shops, eateries & more nearby! 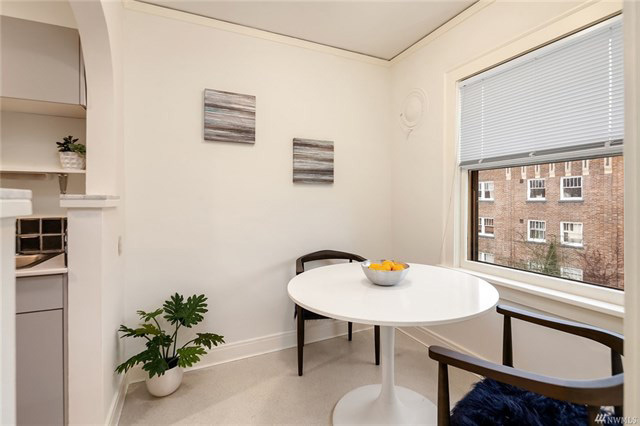 Easy access to downtown and South Lake Union. 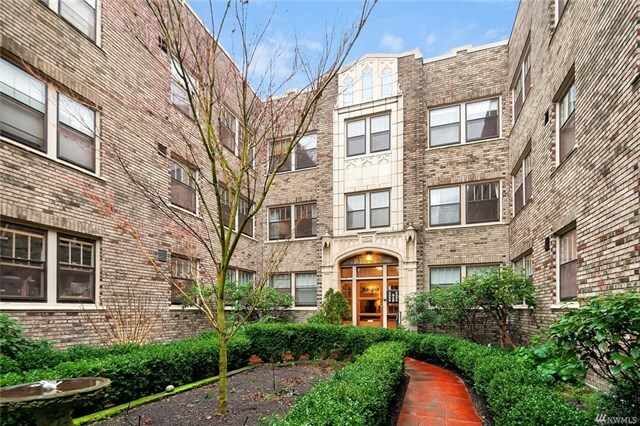 This quaint condo is offered at $390,000. Learn more about this property! Drop us a note or inquire for a private showing. Listing is presented by The Matt Warmack Group, Keller Williams Greater Seattle.